Tattoos used to be forever, but now, this once permanent design on the skin can become a thing of the past! Dr. Peter Vitulli of A Center for Dermatology, Cosmetic and Laser Surgery is a dermatologist who has invested in equipment in his practice for optimum improvement of the skin and body. This includes the PicoSure laser by Cynosure, Inc. 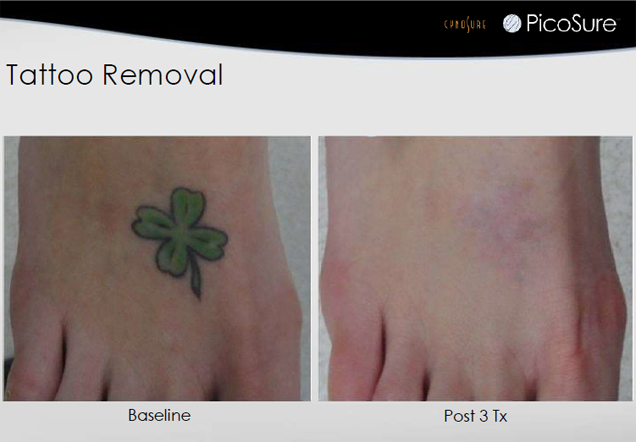 The PicoSure laser is a device that can be used to treat many skin conditions including hyperpigmentation, but is primary used for laser tattoo removal. 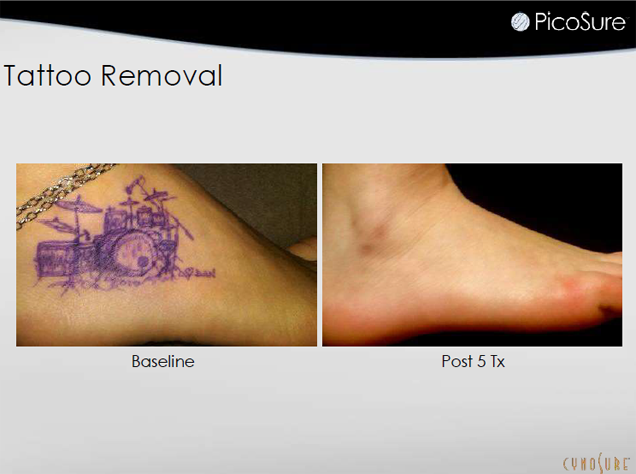 Tattoo removal is done in a specific manner in order to fade the tattoo off the skin safely and effectively. This is performed with the use of a special laser light that catches the pigmentation in the skin from the inks and breaks them down, allowing the body to absorb them safely over time and provide results within just a few months and several treatments. The results from PicoSure treatment will vary upon many different factors that need to be taken into consideration during the initial examination and consultation appointment with Dr. Peter Vitulli. Larger, darker pigmented tattoos will take more sessions and more time to fade than smaller, lighter-colored tattoos. Additionally, the quality of the ink used to create the tattoo will also make a difference in the appearance. The amount of time the tattoo has been in place and the number of treatment sessions patients attend will affect the speed of reduction and the final results, so this should be discussed with the dermatologist before treatments begin. Laser tattoo removal can be relatively affordable and many patients find that a series of treatments will provide them with the ideal results. However, we do encourage patients to take the time to learn about the procedure and find out if it is appropriate for the removal of their specific tattoo. 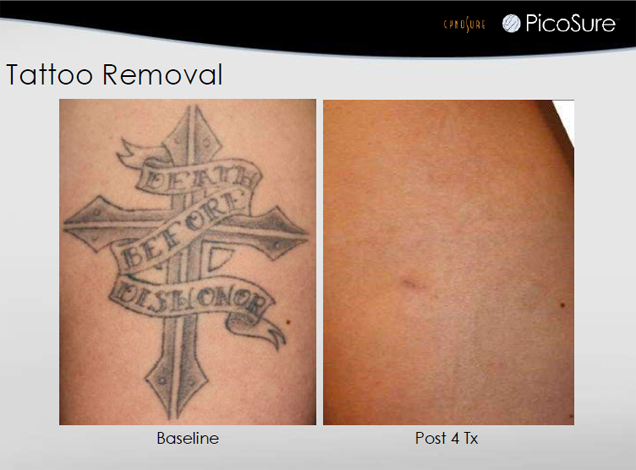 Patients can contact the team of A Center for Dermatology, Cosmetic and Laser Surgery to book an initial consultation visit and examination to determine if they can successfully have their tattoo removed using laser tattoo removal therapies. Many find that they can reveal a future of beautiful, clean skin after having a tattoo and enjoy the benefits of removing something from the past that may have negative connotations or emotions tied to them.